Anthony Sher leads a solid revival of Arthur Miller's classic tragedy. 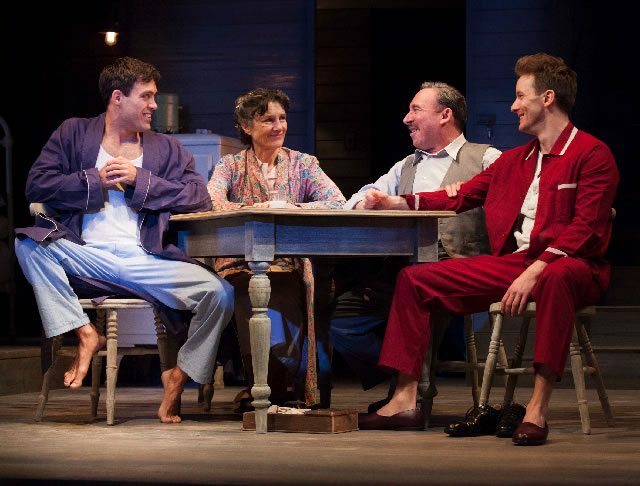 With this astute production RSC Artistic Director Gregory Doran has more than proved that Arthur Miller’s modern American tragedy deserves to be performed by England’s most revered Shakespeare company. 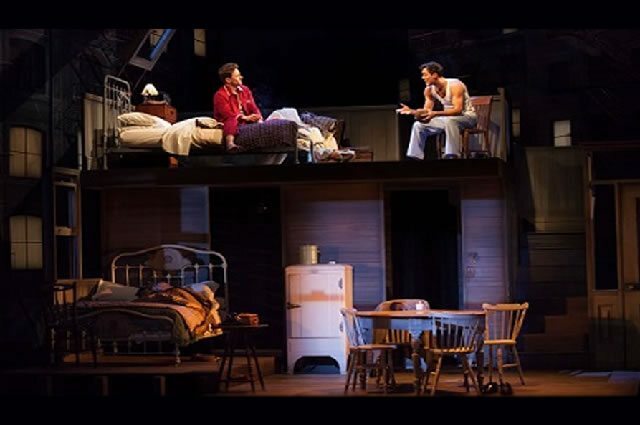 The play which questions the credibility of the American dream definitely strikes a chord with a modern audience where the gap between our expectations and reality is all too commonly felt. I get it, but my only reservation is that this production didn’t pack quite the emotional punch I would have expected. This classic production programmed to mark the centenary since Miller’s birth would surely have gained the playwright’s seal of approval. That is to say that everything from the fine performances to Stephen Brimson Lewis’ design, which presents us with the Loman family home surrounded by the overbearing modern apartment blocks, is faithful to what he intended. After 34 years loyal service, aging Salesman Willy Loman finds he has been reduced to working on commission. The man who has always prided himself on being “well liked” finds himself all washed up without any buyers who remember him. As his mental state begins to deteriorate Willy retreats into his memories which are presented to the audience as part of the play. The dreamlike quality of these interludes is highlighted well in this production by Tim Mitchell’s lighting which makes the surrounding apartment blocks appear temporarily transparent. As you’d expect from the RSC, performances are absolutely first rate across the board. Anthony Sher makes a terrific Willy Loman even though it took a little time to get used to his initial laboured delivery. Sher effortlessly transitions between the blind optimism and despair at reality the character requires. Harriet Walter is superb as Willy’s loyal wife Linda I found the famous ‘attention must be paid’ speech particularly captivating. Alex Hassell beautifully captures Biff’s distress at his failings to live up to his father’s unrealistic expectations while Sam Marks provides good support as philandering younger brother Happy. Technically this production ticks all the boxes it just didn’t move me as much as this powerful play potentially could. 13 May 2015 - Anthony Sher leads a solid revival of Arthur Miller's classic tragedy.